As Managing Officer for Toyota Motor Corporation (TMC), Reynolds functions as general counsel and chief legal officer, deputy chief officer for the General Administrative & Human Resources Group and chief officer for the Corporate Planning Division, with responsibilities at the global level in the legal, human resources and compliance operations of TMC. Reynolds also serves as group vice president, social innovation and chief diversity officer for Toyota Motor North America (TMNA). Reynolds is responsible for Toyota’s diversity and inclusion, shared impact and environmental sustainability functions. Additionally, Reynolds has been named executive vice president, Corporate Resources. His responsibilities include Accounting & Finance, Human Resources, Government Affairs and Corporate Communications. Previously, Reynolds was general counsel and chief legal officer of Toyota Motor North America and group vice president, chief environmental officer and corporate secretary of Toyota Motor Sales, USA (TMS), Inc. Prior to joining Toyota in 2007, Reynolds was a partner and trial lawyer at the law firm of Morgan, Lewis & Bockius in New York City. While at the law firm, Reynolds also worked as manager of the office's labor and employment law litigation group. 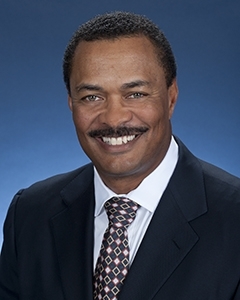 He served as a member of the firm's advisory board and as chair of the firm's diversity committee. Earlier, Reynolds served as an Assistant United States Attorney in the criminal division of the U.S. Attorney's Office, Southern District of New York. Prior to that, he worked as a litigator at the firm of Hughes Hubbard & Reed and as a law clerk for Judge Damon J. Keith, U.S. Court of Appeals, 6th Circuit in Detroit. Reynolds grew up amid the auto industry in Detroit as the son of a Ford River Rouge plant worker and a registered nurse. He earned his bachelor’s degree in political science with honors at Kalamazoo College and was elected to Phi Beta Kappa in 1983. He received his law degree from Harvard Law School in 1986. He is a member of the American Bar Association, the National Bar Association and the International Bar Association, and serves as a trustee of Kalamazoo College and the Lawyers’ Committee for Civil Rights Under Law.